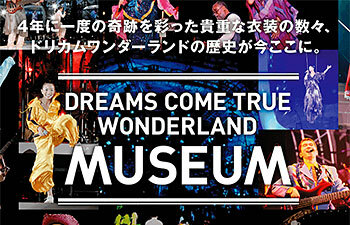 The museum will exhibit the costumes and outfits the members were wearing on the stages. To commemorate this year’s museum tour, the costumes stored at DCTgarden IKEDA for archive purpose will be touring as well. You can see many other items appeared on the stages of DWL in the past closely. A photo gallery will be there, too. The museum will also offer DWL2015 tour merchandise before the actual concert in each location. There will be limited items only available at the museums.